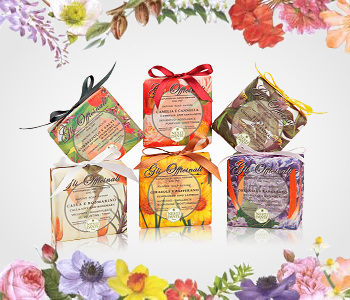 Made for relaxation, the Nesti Dante Gli Officinali soap collection will take you to a place of peace and serenity. Enriched with the energetic flow of precious ‘officinali’ pharmaceutical herbs that intensity the therapeutic benefits of bathing, the Gli Officinali range will be a welcome relief after a stressful day. Handcrafted with natural raw materials, each soap is crafted with love and care, to ensure a soap that leaves your skin and senses thoroughly pampered.